Miami Jewish Film Festival: It's A Wrap! 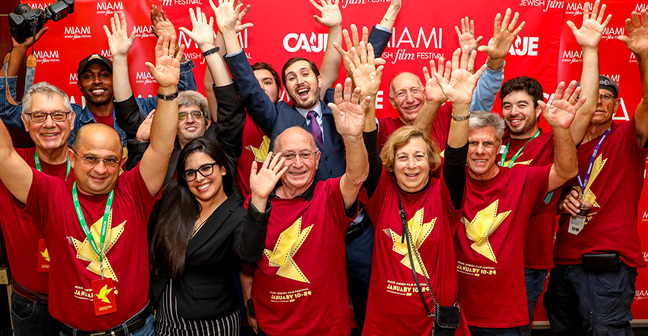 After 13 momentous days, over 80 film premieres from 25 countries, and appearances by more than 90 filmmakers, guest speakers, and performers, the 2019 Miami Jewish Film Festival has come to a stirring finale! Thank you to everyone who attended, voted, volunteered, and applauded! Throughout the 2019 Festival, an unprecedented 30,000 film lovers attended the event and were abuzz about this year's lineup of international and independent films, which featured 12 world premieres, 7 official Oscar entries, 25 films directed by women, 29 Israeli films, and 22 films directed by first-time filmmakers. The Festival was filled with premieres, sweeping epics, personal narratives, cutting edge dramas, and stories that intersect with other cultural communities. 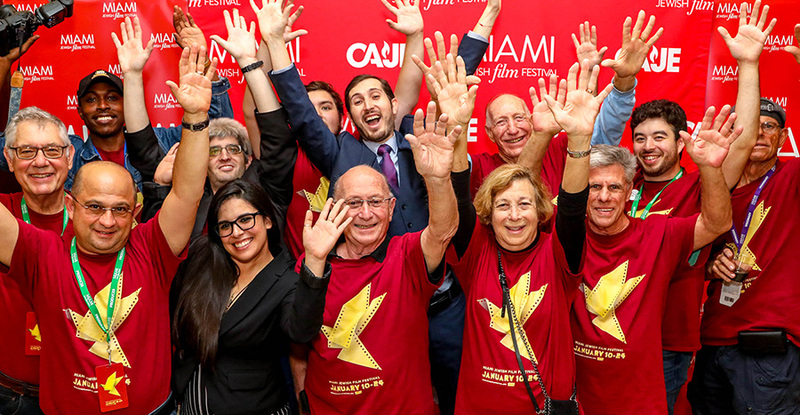 The Miami Jewish Film Festival wishes to extend our deepest thanks to all who contribute to this annual event, including our members, sponsors, community partners and leadership, volunteers, staff, and audience. Thank you for furthering our mission to foster cultural understanding through the power of film! 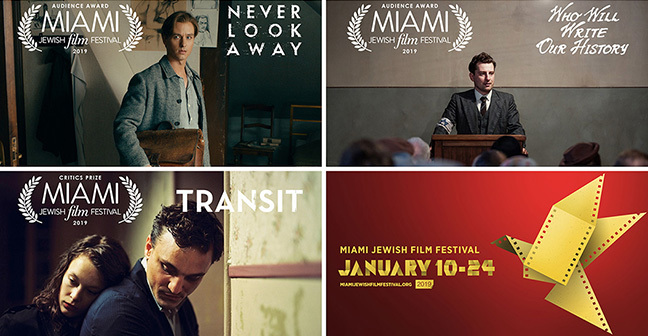 As we wrap the 22nd annual Miami Jewish Film Festival, we are thrilled to announce the winning films at this year's edition! The Critics Prize went to Christian Petzold's Transit, the Audience Award for Best Narrative went to Florian Henckel Von Donnersmarck's Never Look Away (which was just announced as a nominee for the Academy Award for Best Foreign Language Film), and the Audience Award for Best Documentary went to Who Will Write Our History. We congratulate all the filmmakers on your well-deserved honors and success! As we look ahead to next year's 23rd annual Festival, we hope you will continue your support by becoming a Member of our Film Society! 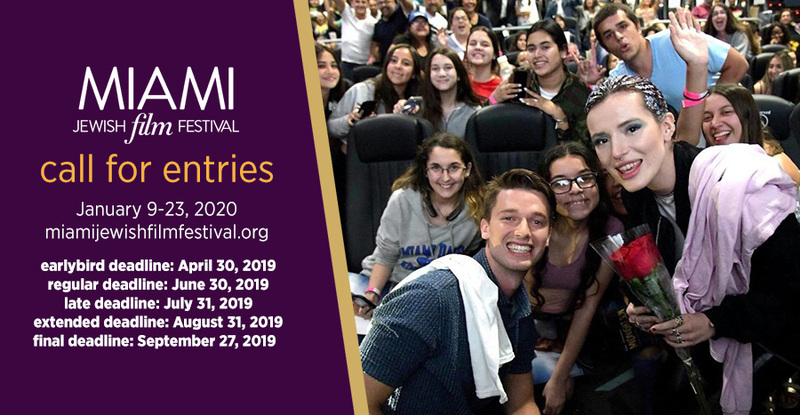 If you love film, and if you love the expansion our Miami Jewish Film Festival has achieved these last 22 years, then please join our growing and enthusiastic community of film-goers and help us create an even better Festival for our 23rd annual edition! 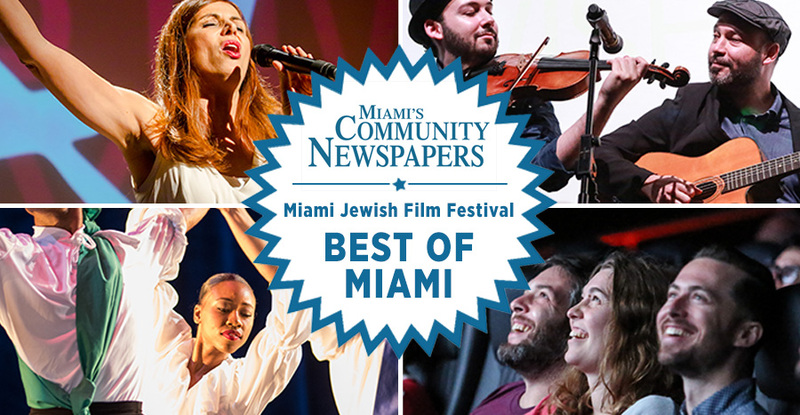 Miami Jewish Film Festival Named "Best Of Miami!"